My heart is pounding in excitement to unveil to you my work of heart. Introducing … ‘Every Mom’s Planner’, an essential companion for the busiest person of them all – mom! 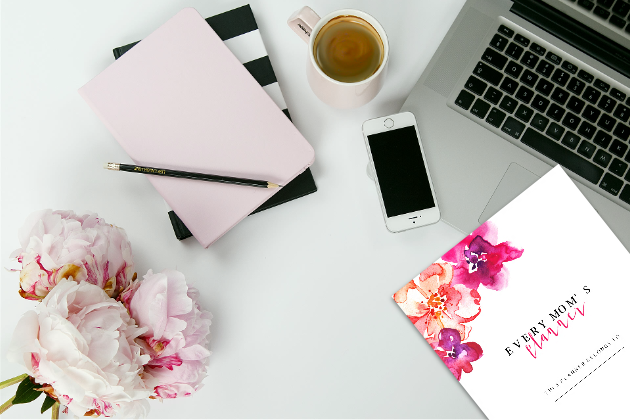 I am so delighted to be finally releasing a Shining Mom flagship planner today. Clearly, the blog is hitting another magical milestone! 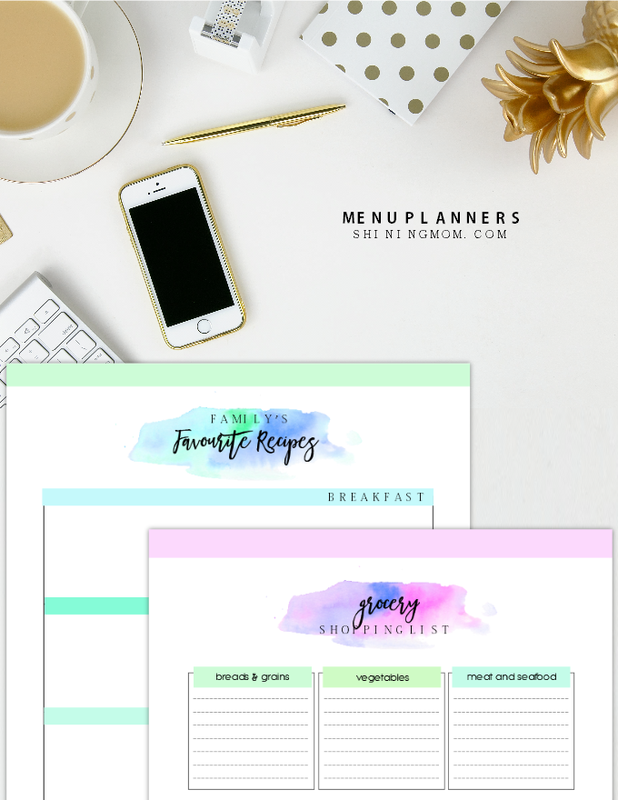 I’ve long dreamt of creating a complete household binder for every mom– the kind of binder that can be considered an excellent tool for managing motherhood. And yes, it’s here, at last! What Is “Every Mom’s Planner”? Is it For You? Every Mom’s Planner is a is a one-stop organizing binder for every busy mom out there looking for a system to make motherhood blissful. 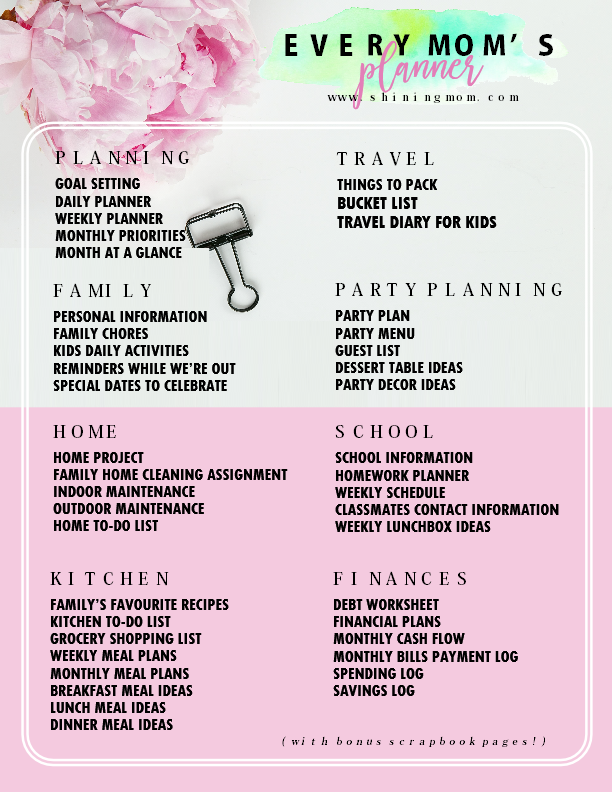 It’s designed to help Mama organize her time, work, resources, family, and home. The target? To help moms manage a beautiful, happy and abundant home! Mom, this planner is for you. It will help you savor your time and relish the gift of motherhood. You don’t need to do things alone, busy Mama! Inside the binder, you will find organizers to help you manage your every day. 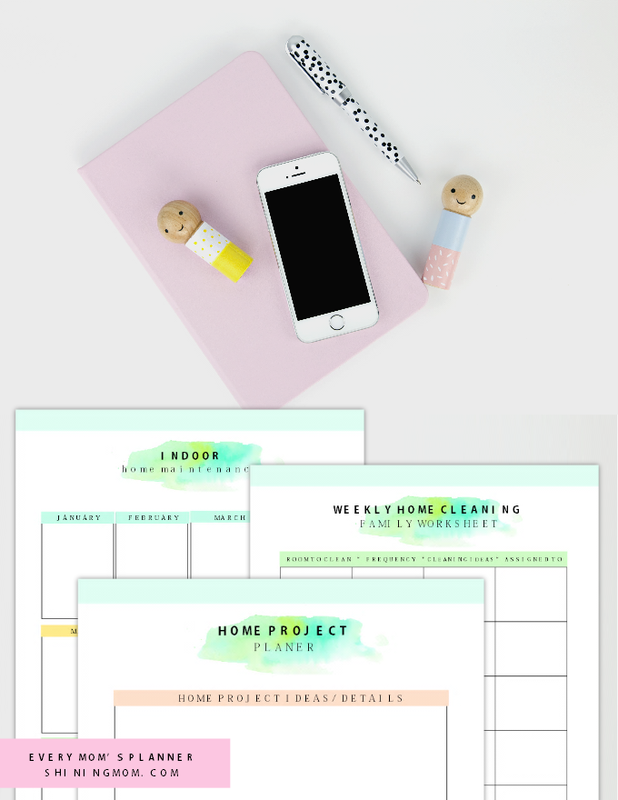 And since it’s released by Shining Mom Blog (who has built a reputation for creating beautiful and functional printables), you know that every single page comes clean, practical, functional and of course pretty! 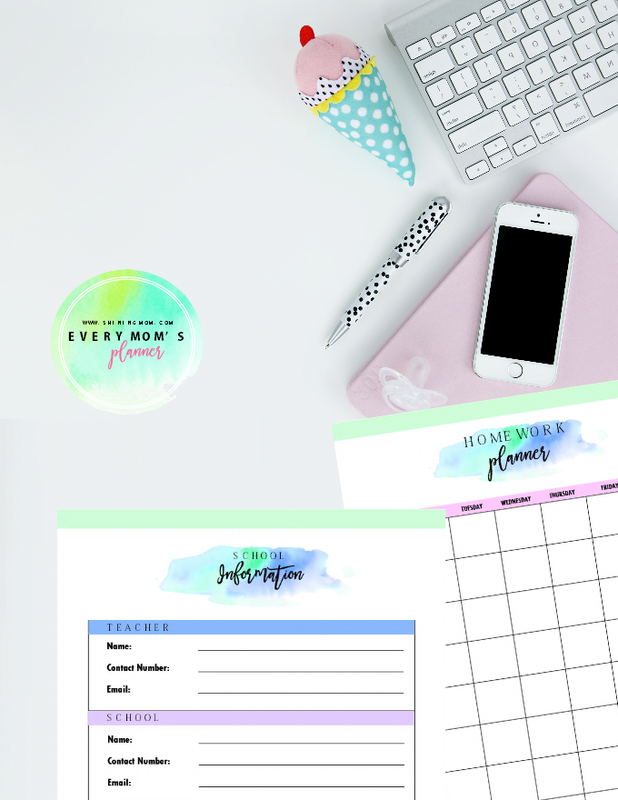 “Every Mom’s Planner” is a collection of more than 40 types of printables to help you get organized. 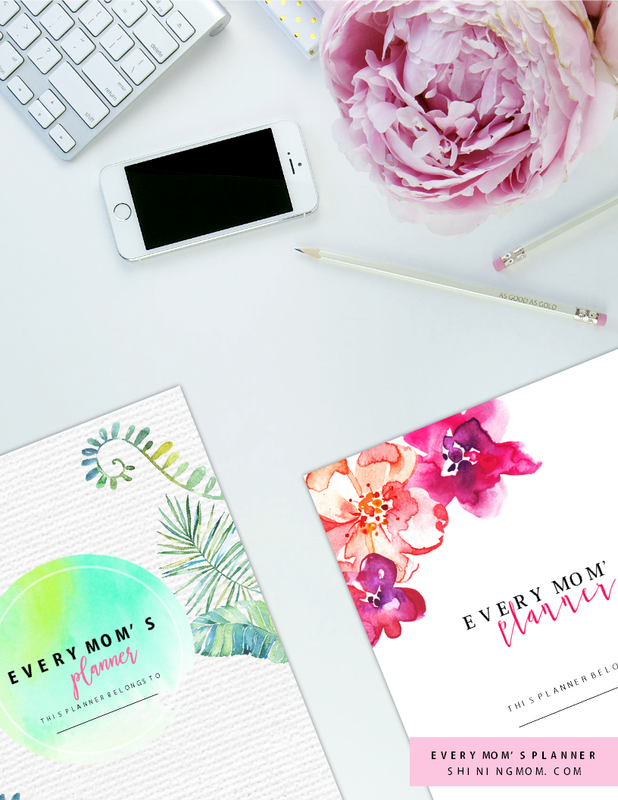 All in all, it’s boasting over 70 pages of printable home and life managing tools for every busy mom. It also comes with bonus scrapbook pages for your family’s keepsake! It is designed for printing in standard, letter-size paper (8.5″x11″). 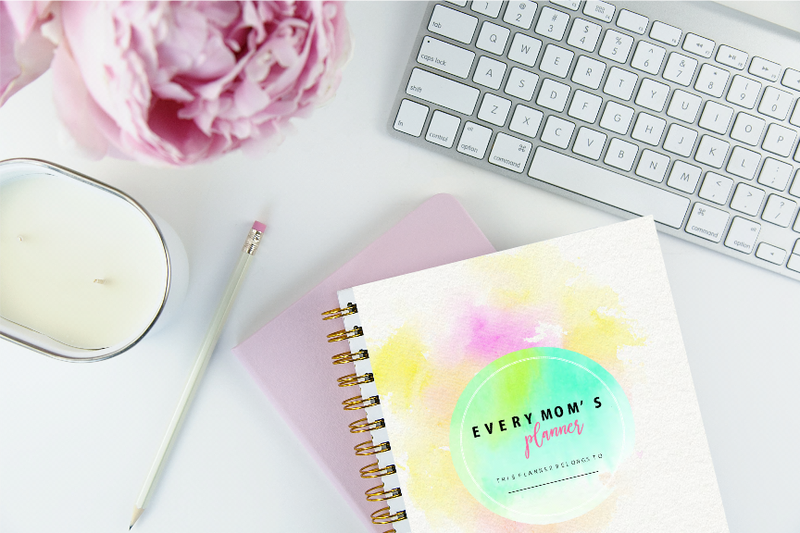 Every Mom’s Planner makes a beautiful gift for every mom because it’s a “gift of a system” to help her walk her days happily blissfully and productively, in style. 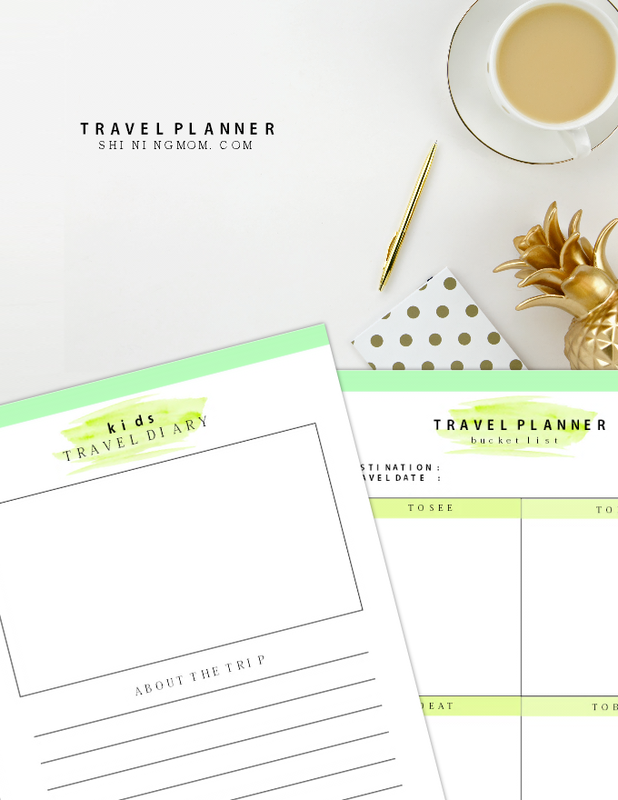 I am excited to show you the different sections of the planner. Always tired? You surely need a system to help you organize things around. 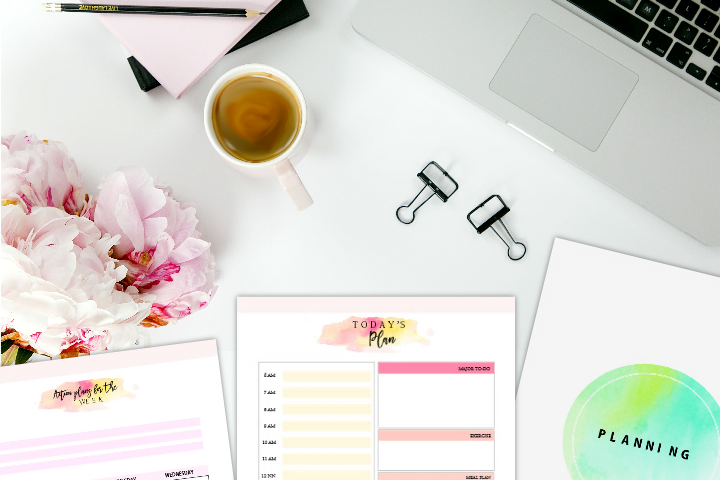 This planner includes daily, weekly and monthly planning pages that are all designed to make your days streamlined and blissful. And yes, they are all goals- focused! Keep forgetting important family events? Not anymore! The Home Binder section includes unique pages such as the “Special Dates to Celebrate.” Not only that, but it also covers pages that will help you keep track of anything home-related such as house routines and house maintenance. Yup, this binder got you covered! Love to host parties but feels overwhelmed when organizing? Oh, I love this section of the planner that is solely dedicated to party planning. 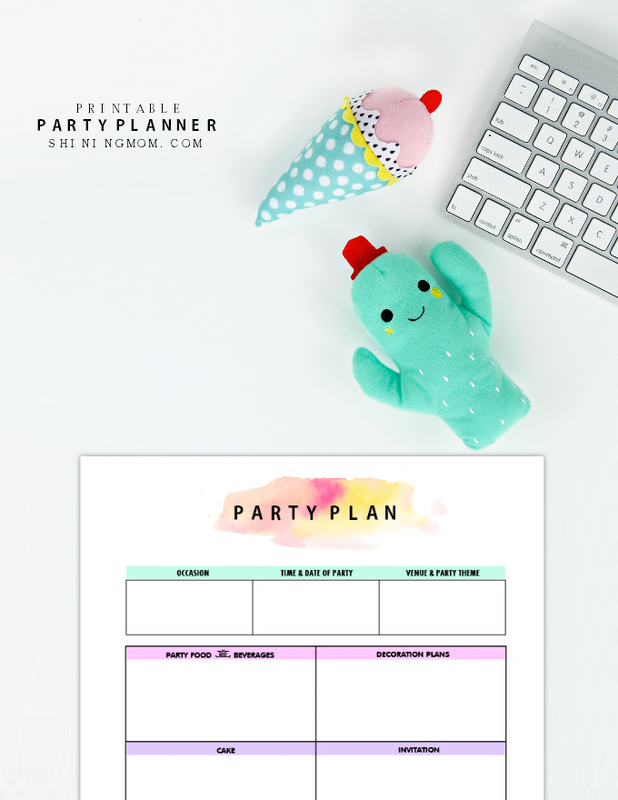 Since I understand how stressful it is to host your kid’s birthday celebration without a system, I created worksheets and organizers for your party planning needs! The Every Mom’s Planner also makes anything school-related sorted out. Pritables such as kids’ daily schedules, school information sheets and more are included in the binder! Finally, there’s no better time to start your journey to financial wellness than now. You’ll also get a nifty financial binder along with this planner. Really, the pages will help you manage your finances by helping you organize and budget your money– wisely. Talk about saving and investing and living abundantly! Mom, you don’t need to do things alone! Every Mom’s Planner is a companion to help you manage your home, family, and life. 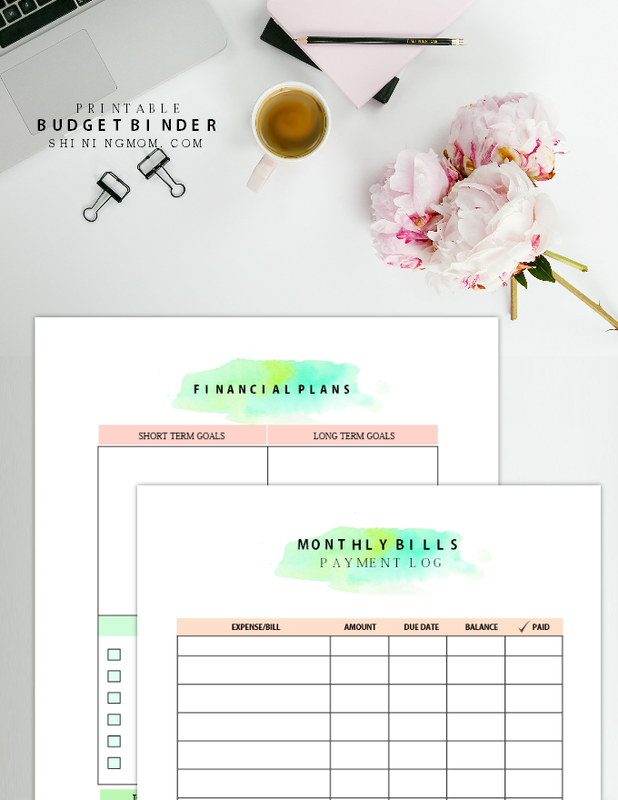 It also includes only the best previously released life organizers by Shining Mom (but of a different design) and several more oh-so-new new printable organizers that are absolutely useful! Every Mom’s Planner comes in 3 different lovely covers. Simply choose what you like best.